Welcome to SitcomsOnline Digest! This week, we have news of Fox getting back into the Saturday night sketch comedy series for the first time since 2009, a pair of MacGyver reboots, several new releases from Shout! Factory that aren't just re-releases in any manner, and much more. Let's get going! Shout! Factory made a very surprising announcement this week, by announcing that they will be releasing Cop Rock on DVD. Cop Rock - The Complete Series is due to arrive on May 17. That wasn't the only surprise announcement this week. The other surprise announcement from Shout! 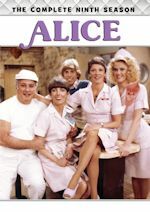 Factory this week was the spinoff of The Mary Tyler Moore Show, Lou Grant. Lou Grant - The Complete First Season will arrive on May 3. Finally, Shout! 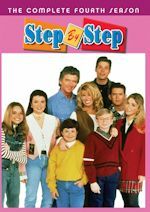 has announced one other release that is much less of a surprise (but it is a continuation of a series that hasn't seen a release in a while), with Newhart - The Complete Fifth Season on May 10. 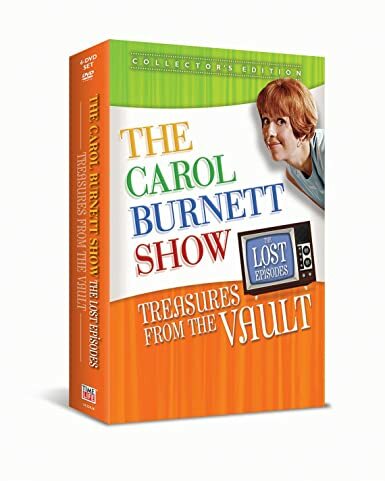 The Carol Burnett Show - Treasures From the Vault (DVD, $59.95): Available as a retail release for the first time, this six disc set brings 15 classic episodes from the earlier years of The Carol Burnett Show to DVD. Also available (with fewer episodes) in a three disc and single disc configuration. Who to Follow: Janet Hubert (Facebook), "BLACKTRESS, inside my mind are the many characters that I created. Life is too short, open your door and let the breeze blow through. Parody can be fun!" 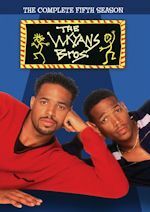 Claim to Fame: Janet Hubert, or as she refers to herself on social media, Blacktress Janet Hubert, first appeared on TV in 1988 on an episode of 21 Jump Street, and made other small appearances here and there before landing her first major role as Vivian Banks on The Fresh Prince of Bel-Air. Unfortunately, that was not a very long-lived role, as she ended up leaving that role following a contract dispute, and another actress replaced her. 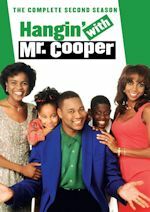 Since then, she has had several guest starring and recurring roles on various series. In recent weeks, though, her social media page has garnered more attention as her disputes with Will Smith have resurfaced in relation to the racial diversity controversy regarding the upcoming Oscars, which you can read more about in this article from People. She is not, in any way, afraid to run away from controversy. In any event, for those who want to interact with her on social media, she does sometimes personally respond... but if you are disrespectful to her, she will respond accordingly. These days, she seems to be preparing to appear in a pilot for some sitcom, Ward of the State, which we can't seem to find anything else about online, so we don't know what the status of this is or really anything about it for that matter... but she has a preview of it on her Facebook page, and we would love to see it become a reality.